I tried to read as little on this as possible prior to seeing it because I really love going into movies blind sometimes, just go with the flow. I am glad I did for this one, because I didn’t have any actual concept about what we were about to watch, and it was a weird one to watch unfold. I was interested to see where Jordan Peele would go after Get Out. I don’t want to say too much because of spoilers and such. Tonally, the movie is a little all over the show. There is a lot of confusion, and there is a section before we get into the third act that just feels like the movie was falling apart – the creepy factor was gone, and nothing was happening, but no explanations were given up, and you don’t really get involved with these people. Because they are just people who turned up in a house and suddenly had doppelgängers chasing them, you don’t root for them more than you would the average horror movie character. Anyway, just as you think that is going on, the third act brings the movie right back up, and I really liked how it all came together. While watching Us, you cannot shake this unsettling feeling that it brings on you, and it lingers after. The score worked hand in hand with this to leave you disconcerted. The performances were quite good, Lupita Nyong’o nailing her role, and delivering a solid performance for a seriously strange story. In places, Us is nothing unique, but on the other hand, it is a different beast altogether. I thought the story was refreshing, but there were places where the movie was let down due to pacing and is certainly uneven at tomes, and the humour also didn’t work for me (sparingly used, but comes across as unnatural). Overall, I thought it was well worth a trip to the cinema. 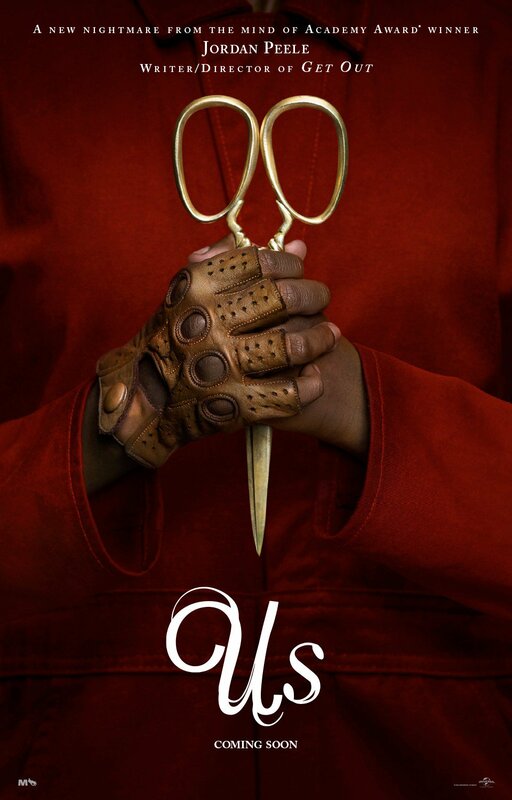 I can’t say much about a lot of things, because I hate spoilers, but so far I have enjoyed Peele’s work, and I am interested to see where he goes next.